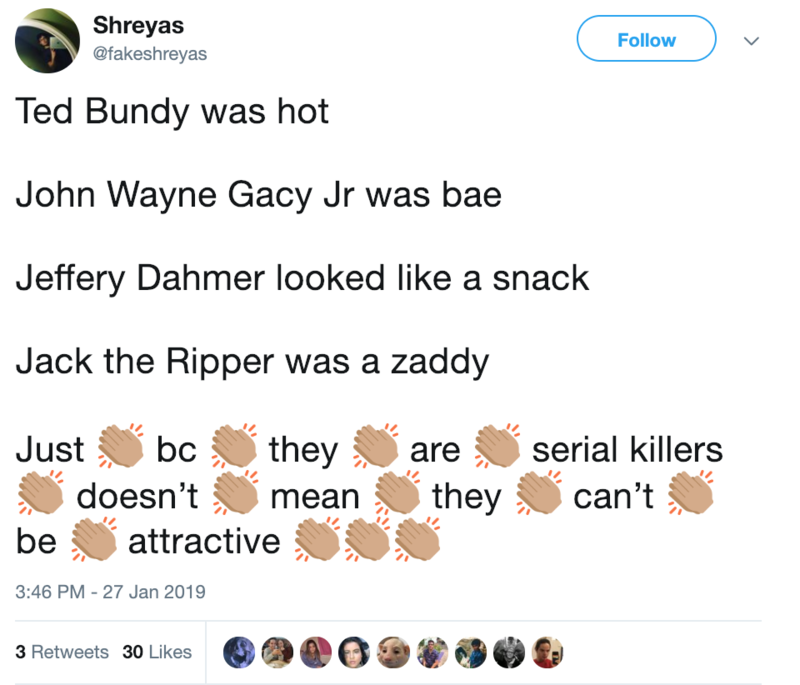 “I’ve seen a lot of talk about Ted Bundy’s alleged hotness and would like to gently remind everyone that there are literally THOUSANDS of hot men on the service — almost all of whom are not convicted serial murderers,” read the official Netflix Twitter account. The streaming service released a four-part docuseries about Bundy last week, promoting it on their home page’s main banner. 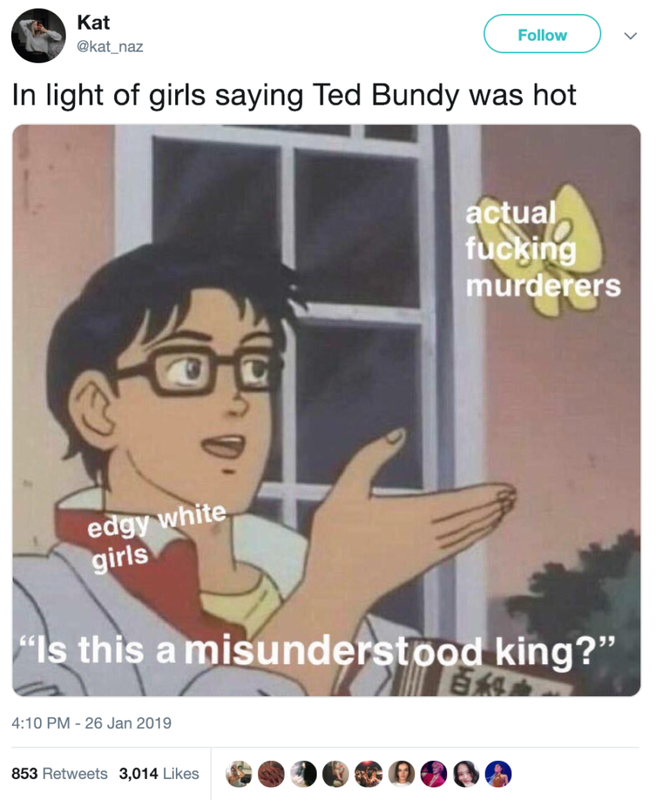 Conversations with a Killer: The Ted Bundy Tapes was the brainchild of Joe Berlinger, who is also responsible for a feature film called Extremely Wicked, Shockingly Evil, and Vile, starring Zac Efron as Ted Bundy. 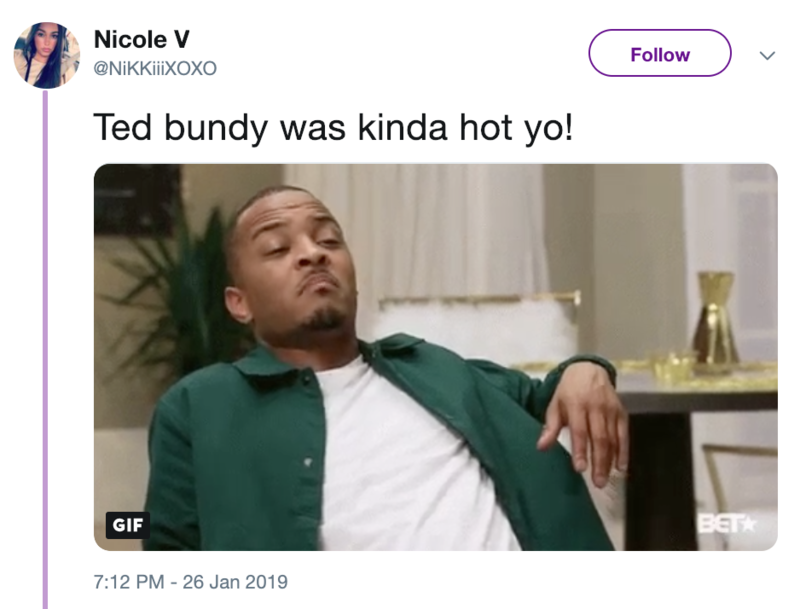 The timely convergence of the docuseries and the feature film trailer led to the types of Twitter reactions Netflix intended to dissuade with their Monday afternoon tweet; mainly, people tweeting about how “hot” the serial killer was. This isn’t the first time Netflix felt the need to dissuade viewers from dumb behavior. Just recently, the streaming giant was forced to issue a warning to people who wouldn’t stop participating in the “Bird Box” challenge, where dummies worldwide tried to perform everyday tasks while blindfolded like Sandra Bullock’s character in the film. 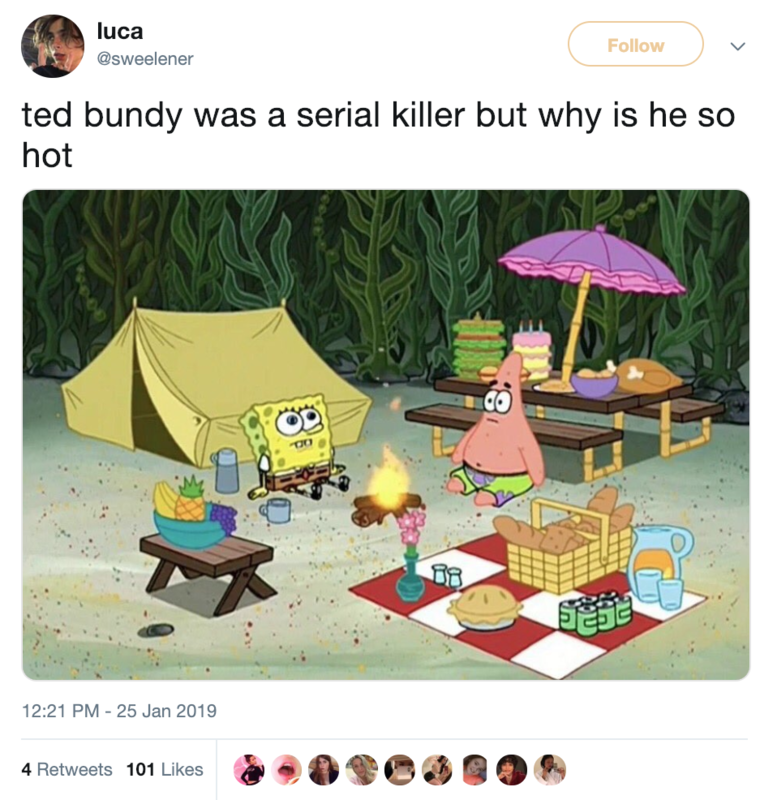 Nor is it the first time Twitter users romanticized serial killers in response to Netflix programming. After the streaming service acquired the Lifetime series You, people began tweeting about how attractive they found Penn Badgley’s character Joe Goldberg, who was a deeply disturbed stalker and serial killer. The responses were so aggressive and misguided that it prompted Badgley to address them in a series of tweets.